TEACHER SALARIES in SA, how do we compare globally? While South Africa is not covered in the 2018 survey, enough data exists on local educators remuneration compare how local educators are remunerated when compared to their global peers. Including South Africa in the rankings, it would place in the middle (17th out of 36). Teacher salaries in South Africa vary greatly depending on where they teach, at what level and whether the school is private or public and what qualifications they have. For teachers in the public sector, salaries are scaled, with the minimum a low-level teacher can earn being around R110,000 a year, ramping up to over R900,000 for principals and heads of departments. Using data from salary database PayScale, the salary range for primary school teachers in South Africa is between R80,000 and R275,000 with the median sitting at R177,500. For high school teachers, pay increases, ranging between R120,000 and R300,000, with the median sitting at R200,000. Overall (taking both primary and high school into account), the median salary sits at about R188,000 a year – or just over R15,600 a month. Adjusting for purchasing power parity (PPP rate of 6.08, World Bank data), this puts a South African teacher’s comparable salary at $30,920 per annum, which ranks rather favourably when compared to other countries in the GTS report. This is how South Africa compares. 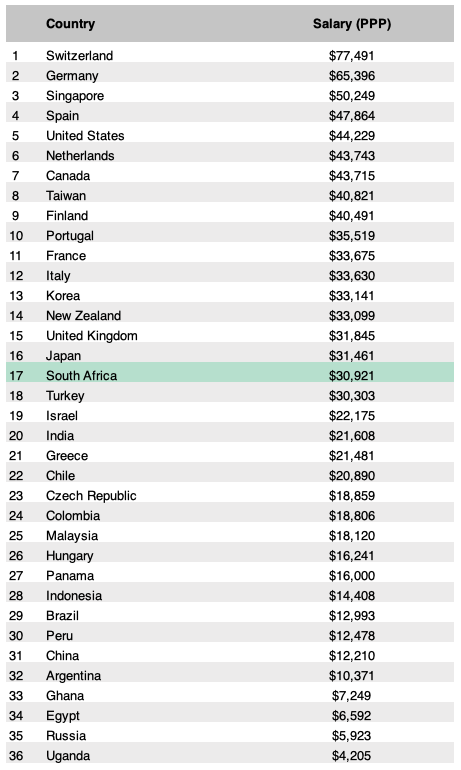 When adjusted for cost of living (PPP), South Africa’s teachers earn on par with the likes of Japan and Turkey, not sitting too far below New Zealand and the United Kingdom. Local teachers are remunerated at levels half of those in Germany and Switzerland – and more than triple BRICS fellows like China, Brazil and Russia. 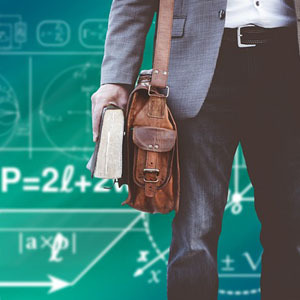 According to the report, there is a growing shortage of skilled teachers around the world, with its findings showing that even in top countries like the US, highly qualified graduates are less likely to pursue teaching as a career.